Last week I recapped what I achieved in 2015. 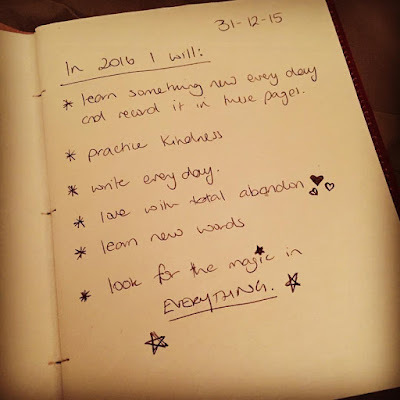 This week I’d like to share with you what I hope 2016 will bring. I blogged about a special gift I received for Christmas, and so far every day I’ve been writing in it. 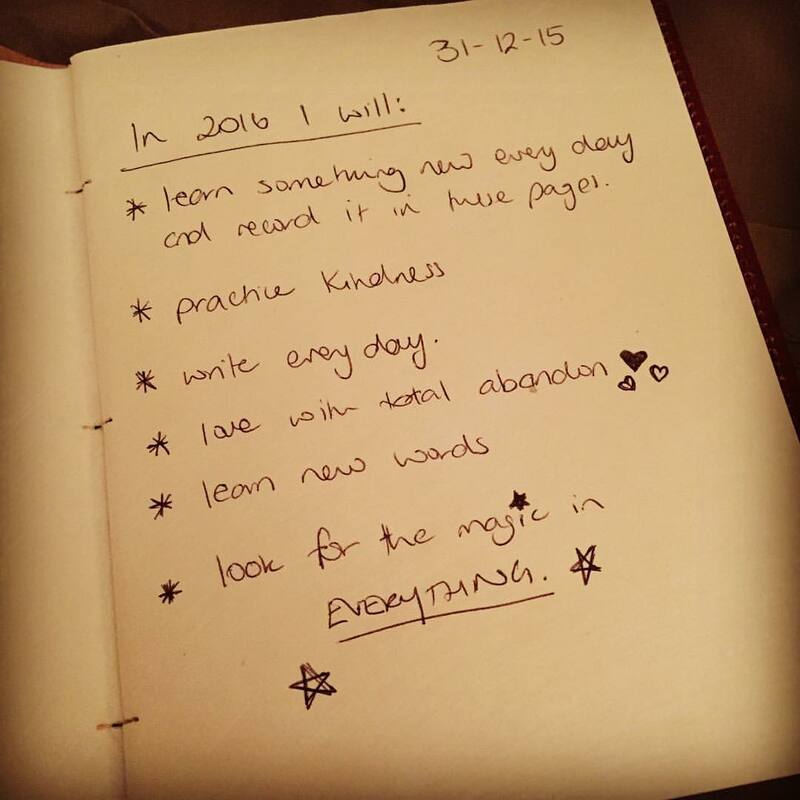 The first entry was a list of the main things I want from 2016. You’ll notice these goals are pretty broad, and I did that for a reason. This year I want to focus on the journey. The destination is important, too, but if I made a goal like publish x story then I would become all consumed with that final goal. Instead, if I aim to write every day, then the journey to that goal becomes the focus, because I’ll be more in the moment rather than looking too far into the future. Part of my writing every day includes using the journal I was given. I’ve never really been one to keep a journal, so this way of writing is something new for me. I’ve mainly been jotting down quick points about my day. Sometimes it’s a few words, other times a more detailed explanation. I’ve left it open to write down whatever I want to at the time, including lines of poetry, quotes, and interesting words. The main thing is I’m looking for something that the day taught me, and it’s a nice way to reflect before I go to bed. In past years my resolutions have been more specific, but this year I wanted them to be fluid and open, because I already know it’s going to be a busy year, but everything I’ve written on my list is something I can achieve no matter where I am or what I’m doing. Do you make resolutions? I’d love to hear about what you’d like to achieve in 2016. Download my free worksheet, print it out and record your resolutions, then put it somewhere prominent to remind you what you want to achieve throughout the year.